William G. Gale conducts research on a variety of economic issues,focusing particularly on tax policy, fiscal policy, pensions, and saving behavior. 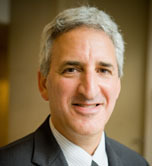 He is also co-director of the Tax Policy Center, a joint venture of the Brookings Institution and the Urban Institute. Dr. Gale has published extensively on these issues in academic and popular outlets. Prior to joining Brookings in 1992, he was an assistant professor in the Department of Economics at the University of California, Los Angeles, and a senior staff economist for the Council of Economic Advisers under President George H.W. Bush. Gale attended Duke University and the London School of Economics and received his Ph.D. from Stanford University in 1987.